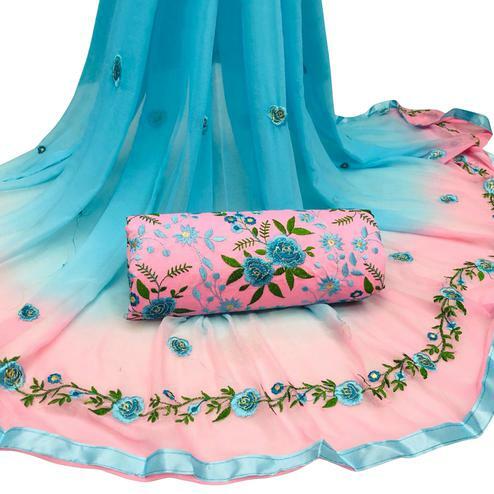 Spread the aura of freshness with these dress materials which is sure to match your choice. 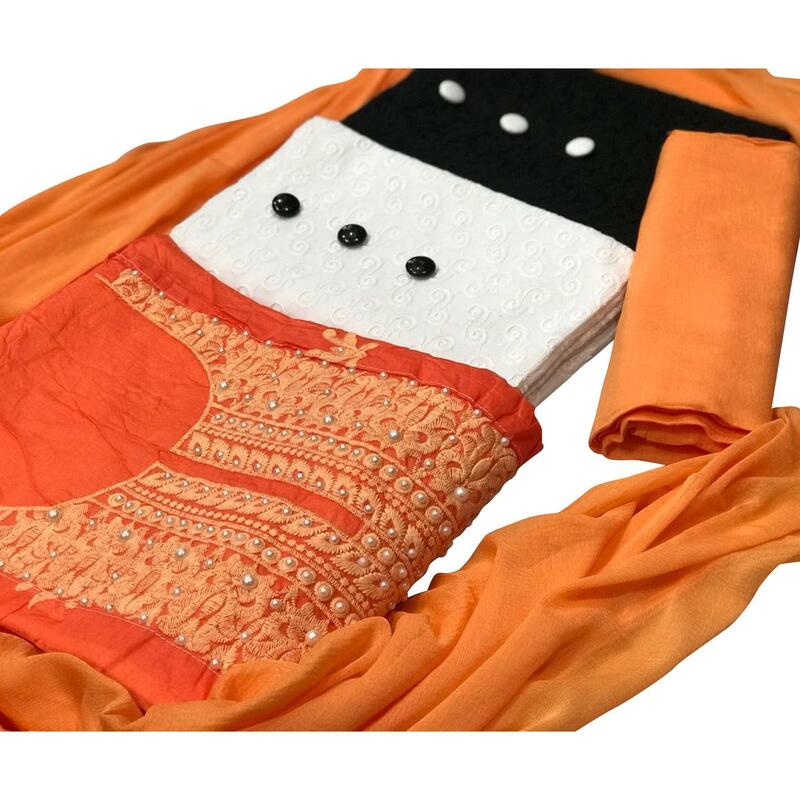 This unstitched suit is a set of three tops: 1) Orange colored top which is made of modal fabric beautified with lovely embroidery. 2) Black top made of cotton. 3) White top made of cotton jacquard fabric. 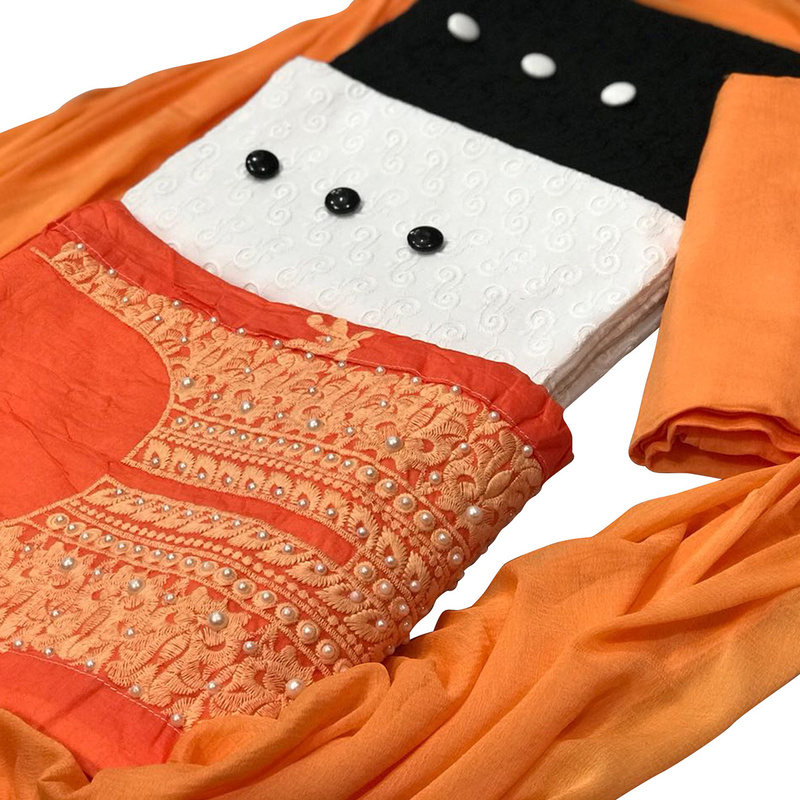 Comes along with one unstitched cotton bottom and one chiffon dupatta which can be paired with all three tops. Grab this dress materials and get it stitched in to churidar or salwar suit according to your fit and comfort. Ideal for festivals, parties and social get together. Team this with a pair of matching earrings and heels for the perfect look. Buy this dress materials now as it's a unique set of suits which is rare to find.